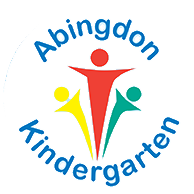 For over 30 years, the Abingdon Kindergarten has believed that early childhood is the foundation on which children build the rest of their lives on. Children develop at different rates and in different ways; emotionally, socially, physically, intellectually, morally and spiritually. Each child's potential will emerge under favourable conditions and the homely environment we provide, where children feel loved, secure and happy. Long Furlong has four main rooms in a purpose built two storey air conditioned building. Long Furlong is part of a small community surrounded by a primary school, park and recreation ground. This offers a great opportunity for all ages to enjoy social walks and visits to the stimulating surroundings. Long Furlong has been inspected by OFSTED and has always received impressive reports. Our premises are maintained to high standards, well above those demanded to satisfy the child care registration bodies, OFSTED, environmental health and fire regulations. We are pleased to report that our ongoing dedication to the provision of high quality child care and career development for our staff has been recognised by the local business community.